The BBCM Foundation team is very pleased to announce officially that VICTOR CALDERONE, the world-famous DJ, has just been confirmed to perform at this year’s Montreal Black & Blue Festival Main Event on Sunday October 8 (all-night party) at the Pierre-Charbonneau Amphitheatre in Montreal’s Olympic Park. Buy your tickets now on reduced pre-sale before they go up next week !!! Victor performed a long time ago at the Black & Blue in the late 1990’s but he has since become a huge DJ appreciated by all. 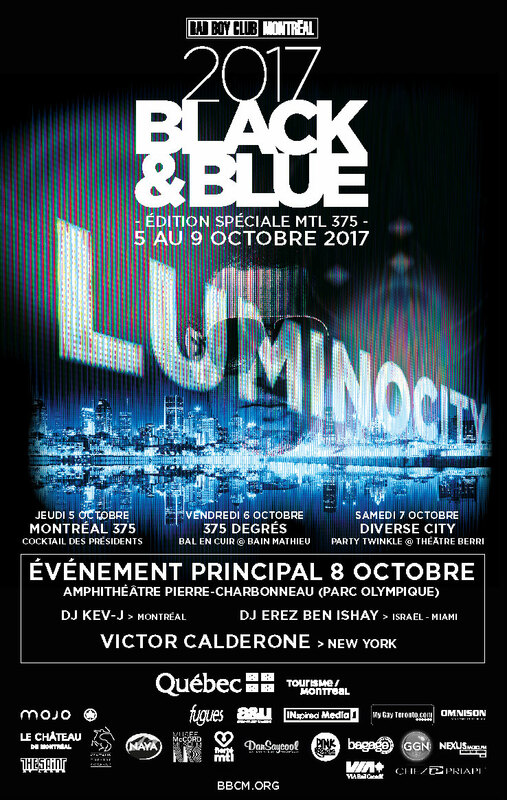 We are very happy to have him return to Black & Blue this year on the occasion of Montreal’s 375th Anniversary, and with our special 2017 celebration theme LUMINOCITY.